6 weeks or so ago while looking through Craigslist, which we do on a regular basis, we came across a listing for 2 reproduction Stingrays that looked pretty bad. 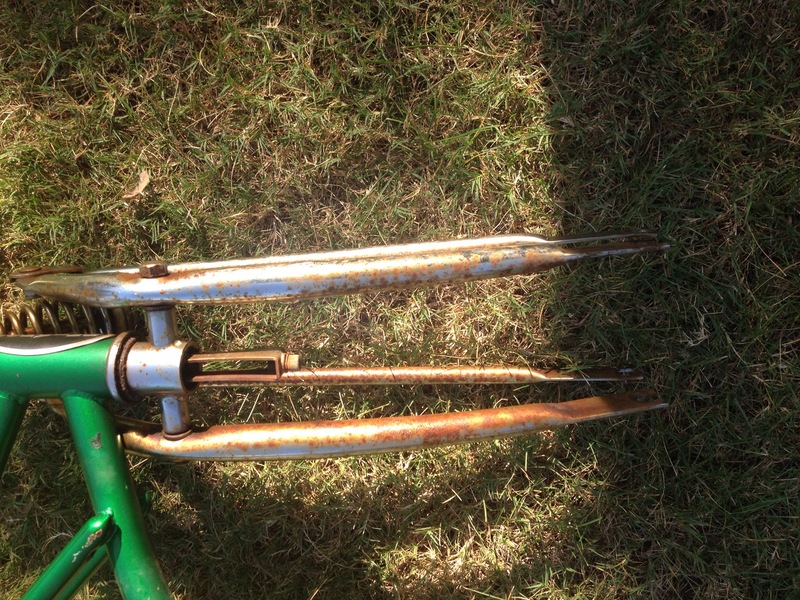 We contacted the owner and negotiated a price and bought both bikes for $30. We quickly learned that the reproduction bikes are not the same quality as the originals. So the plan was to part out both bikes and see if we could make some money. We started with the blue bike. 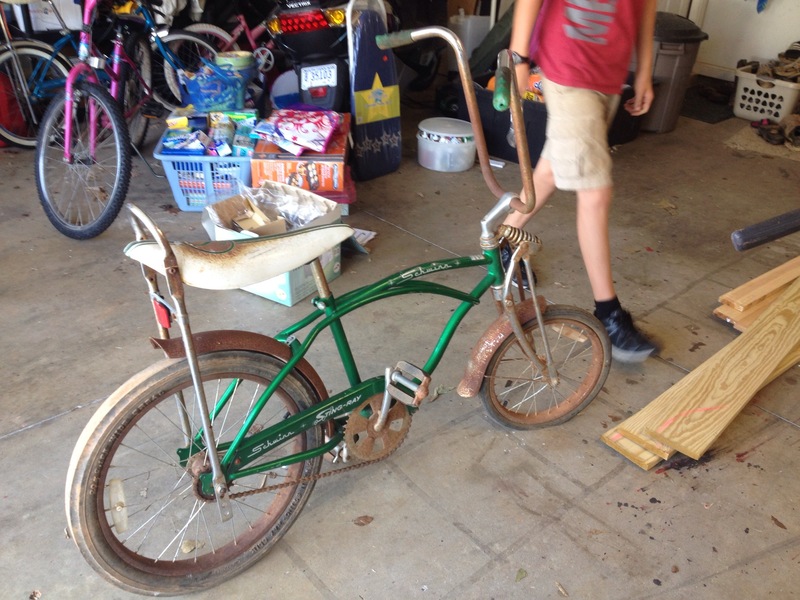 Nathan stripped the bike down to the frame and cleaned up the cranks. 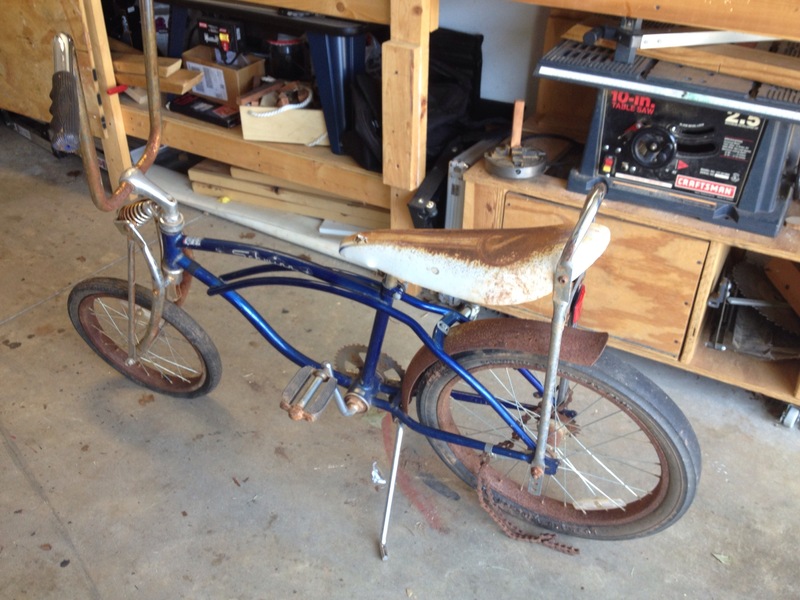 We posted it on eBay and ended up selling the frame and some extra parts for $30. After some extra shipping costs we came out $20 ahead. After discussing whether we should take the same path with the green bike, we decided to try something different. If we can find the parts online we need, why not restore it ourselves? It would be more work but that is our favorite part. The first step is to see what will clean up and we started with the front fork because that is the coolest part of the bike. 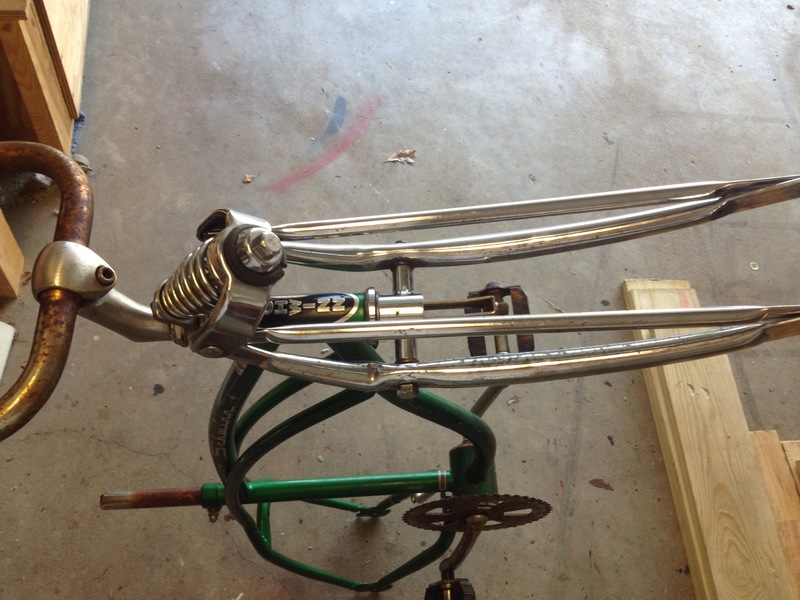 The front fork comes a part making it pretty easy to work with. After polishing and cleaning it actually cleaned up better than we thought. Our plan is to clean the bike up and get it running. We will continue to look for extra parts and see what happens. We finally got it all put together and sanded. 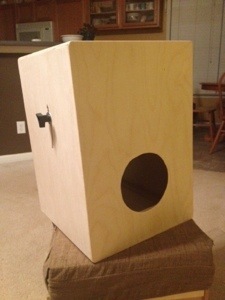 We used a router with a 1/4 inch round over bit to do the top. The edges on the sides were all hand sanded. The only snag we ran into was two screws that the heads snapped on. We ended up having to cut a new front. Our last step will be to put a finish on it. 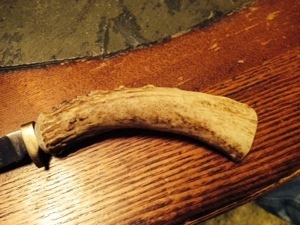 A friend knew we were interested in turning pens and gave us a single deer antler. While it wasn’t huge, it had several good points. 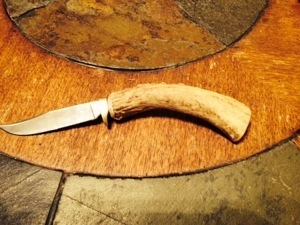 Originally we planned to use it to make a pen but after Nathan’s grandpa gave him an older knife blade we decided to use the antler to make a handle for it. First we cut off one of the points and squared up the end using a jig saw. Then using a basic bench grinder we smoothed off the hard edges and rounded the ends. The grinder had no problem with the hard antler. The only bad part was the smell. We drilled a hole in the end and using thick CA glue to hold it, we inserted the blade into the handle hammering it in the last 1/8 of an inch. This was a simple project that only took about an hour. The next project will be to make a sheath for the knife. 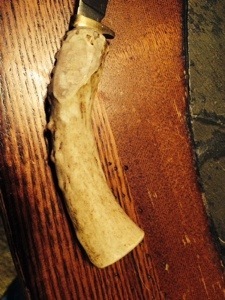 Every time we have turned a pen there is always this leftover piece of wood from the pen blank. Usually the piece is around an inch long. We have kept most of those pieces just because I hate to throw them away. Maybe it is my frugalness that won’t let me do it. Most of the woods we work with are not extremely exotic but still a piece of Indian Rosewood is nice even if it is a little short. 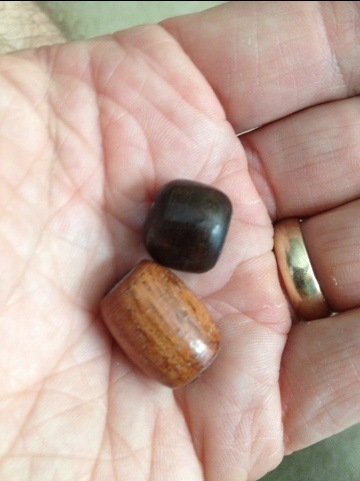 Yesterday I had this idea of turning those little pieces into beads. So after making sure my tools were nice and sharp I did some experimenting. I am not exactly sure what I will use them for yet, especially because the hole in the beads is rather large from putting it on the mandrel. But turning them gives me good practice. Over the Christmas holiday, we took a stab at turning a bowl. Nathan’s grandpa brought a block of spalted maple. 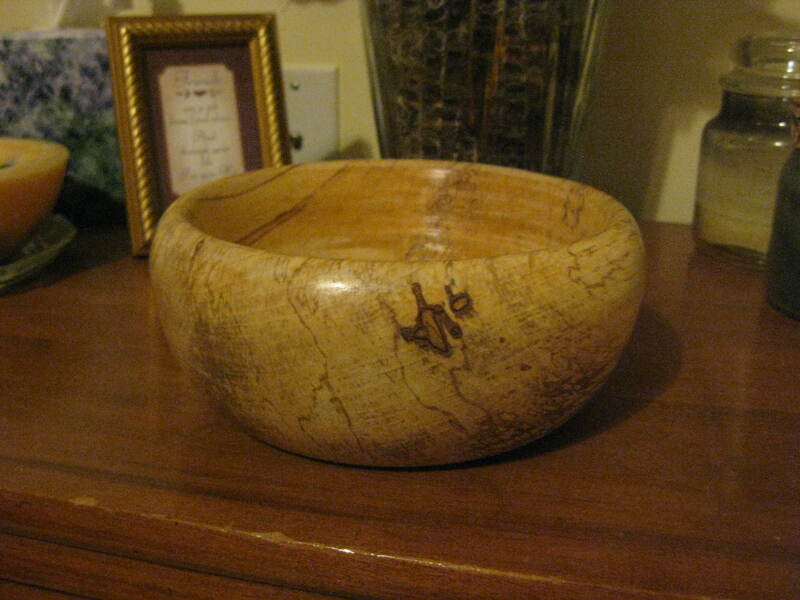 The term spalted means the wood has a pattern which you will hopefully see in the pictures. Grandpa bought a new turning tool with a carbide tip which made for easy and quick turning. 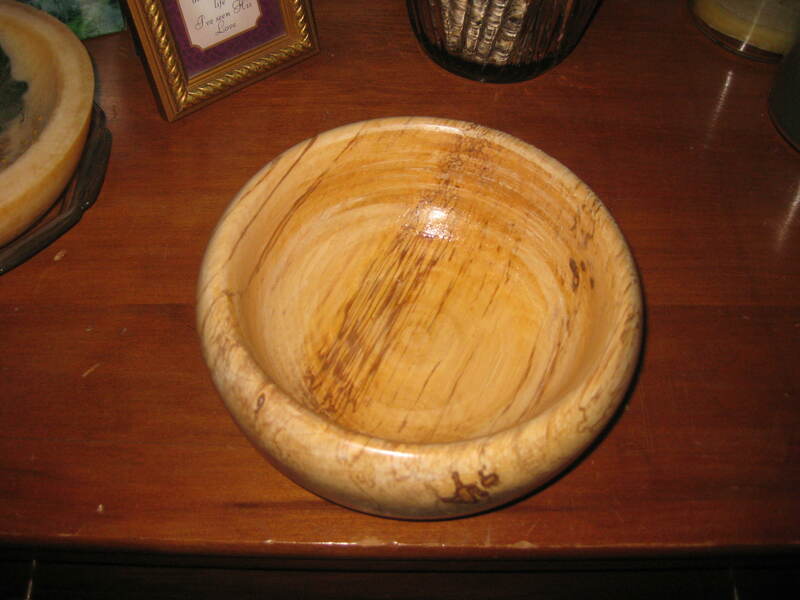 You can make the bowl just about any shape you want but we went with something simple since this was our first bowl. We used a wax finish and polish. 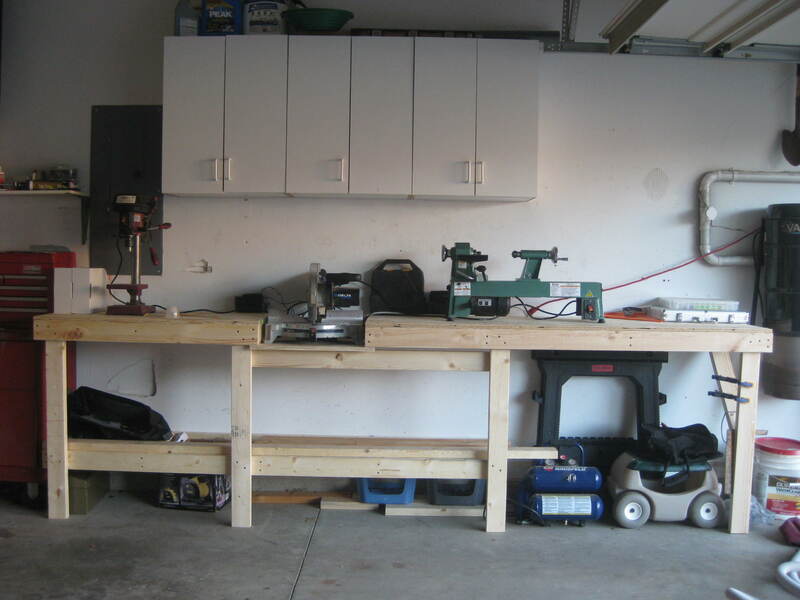 Last Saturday we worked most of the morning on transforming our garage with a new workbench. We framed up the bench being careful to make everything level and straight. We added a 3/4 inch plywood top and moved our cabinets above the new work space. This is only phase 1. We plan to add a roll-out table saw unit that will store under the bench on the right. The left end will include a flip up table top. There will be rolling drawers that store under the bottom shelf which we still have to build. 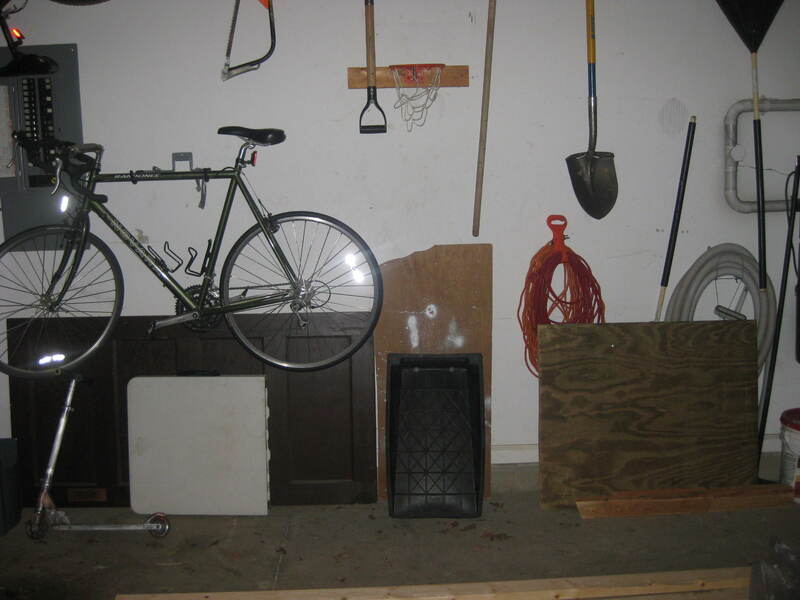 We also still need to dismantle our old bench and organize the yard tools on the other side of the garage. 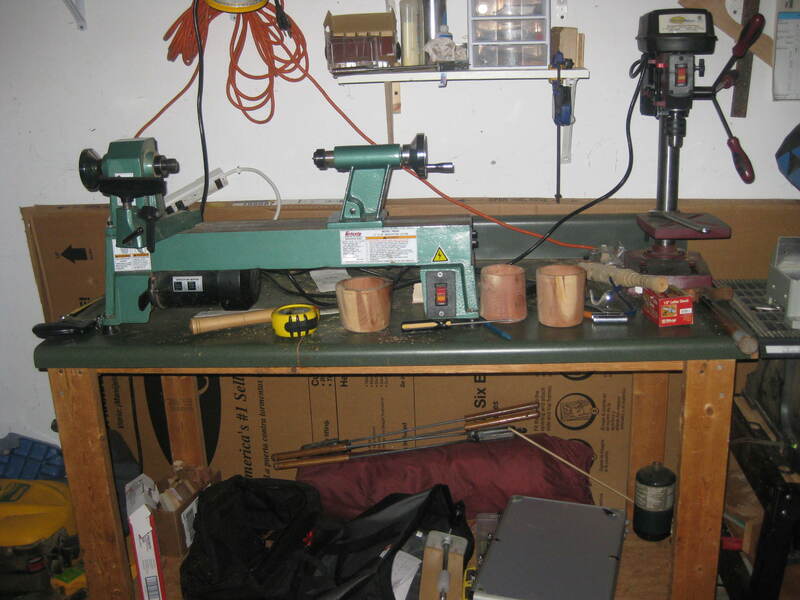 We have plans to expand our workbench in the garage to create more space for wood working projects. 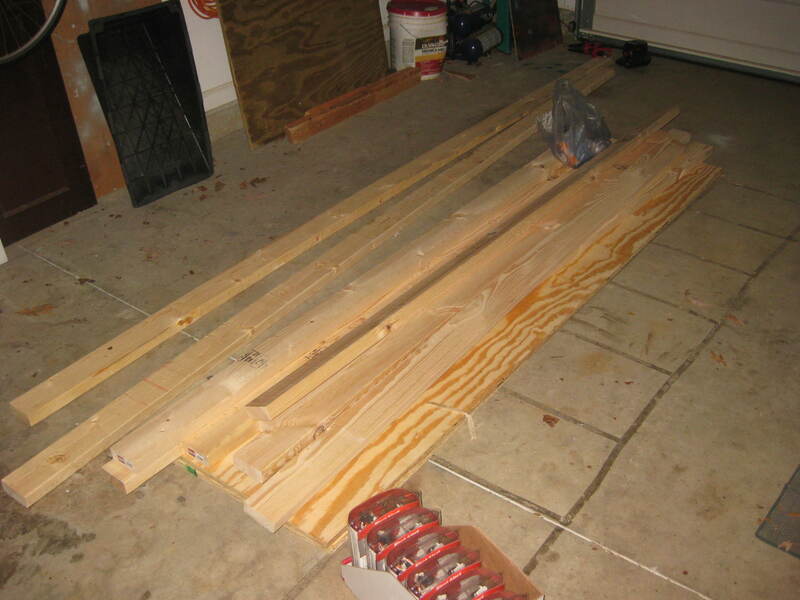 We found a great plan for a modular workbench at www.familyhandyman.com. Today we headed to Lowes to get the materials and plan to start construction tomorrow. 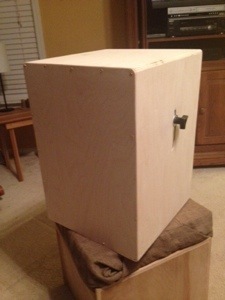 The 3/4 inch top will be sturdy and provide great space to spread out. Our current workbench is an old countertop but it doesn’t allow for much work space. Our tools and materials usually end up spread all over the place. Our new workspace will be on the opposite side of the garage which will allow for a longer bench if we can find a place for all the stuff that is there.